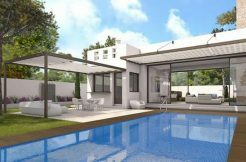 The sophisticated coastal town of Moraira will suit the more distinguished property buyer. Moraira holds a magical charm, with its beautiful sea view restaurants, clean and tidy beaches and neatly arranged streets. Crystal clear waters gently lap the sandy beaches, and in summer there’s plenty of parking, shade and sun loungers, for a relaxing day on the beach. Overlooked by the famous castle, the main beach is l’Ampolla and el Portet can be found to the north of the town. Both are within easy reach of a selection of bars and restaurants. The port is a working fishing port and also houses some of the most fantastic boats and yachts that sail the Mediterranean. 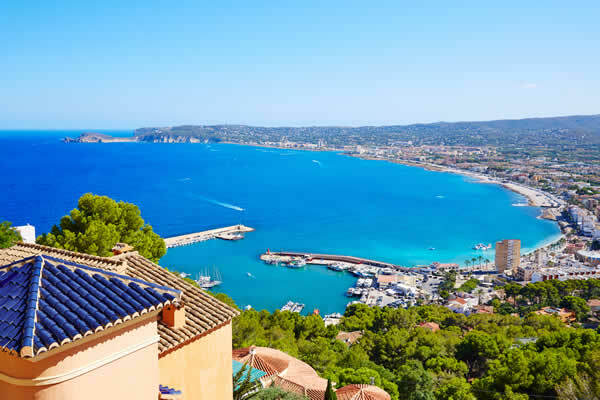 If you love shopping Moraira has an excellent mix of both modern and traditional shops, and the Friday market, held in the town’s main car park is not to be missed. Eating out in Moraira is a fantastic experience. The excellent choice of bars and restaurants offer a delicious selection of foods from around the world. In July Moraira holds its main fiestas. This is the time to experience a taste of real Spanish culture, with partying until the early hours, fireworks, dressing up and a great carnival atmosphere. Javea is a delightful mix of both beach life, business and typical Spain. From the old town, with its authentic Spanish buildings, local history, street cafes and of course, as with every traditional Spanish town, the main square, where locals and visitors pass the time of day to the modern and trendy promenade along the Arenal beach, packed with a fabulous selection of stylish places to eat and drink. The beaches in Javea have something for everyone. The main long sandy Arenal beach is gently shelving into the sea, has play areas for children and is backed by a promenade offering a wide variety of bars and restaurants with tempting dishes of every nationality. In summer the night market displays local crafts, jewellery and traditional Spanish artefacts. 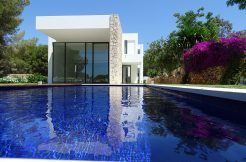 There is plenty of accommodation on offer in Javea and the surrounding areas, villas, country houses, apartments and town houses, many with spectacular views of the sea or the beautiful surrounding countryside. The magical Montgo mountain watches over Javea, and many say it resembles an elephant – look carefully and you can pick out the eye and trunk! The Montgo is a national park and has many delightful walks www.marina-alta-walks.org, from a gentle stroll to something a little more difficult. The mountain has a fascinating way of catching the sunlight, reflecting it from every angle on its red rock face, and at sunset the rock seems to glow. There are many properties at the foot of the Montgo, set in peaceful locations, but only a few minutes drive from the main town. 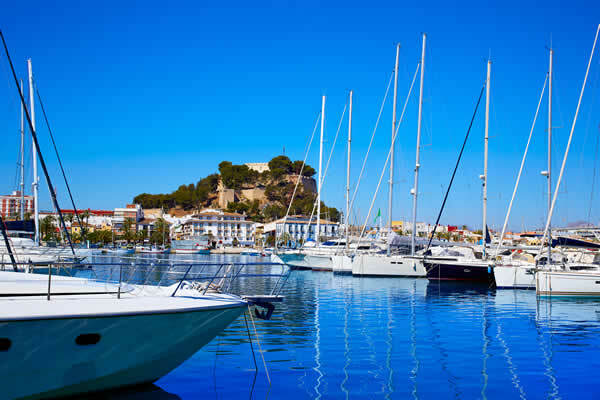 Denia – a working Spanish town on the Costa Blanca that offers a mix of thriving business and a growing tourist industry. On the hill above Denia stands its famous castle, one of the most important on the Mediterranean coast that still has an underground tunnel and walls that were built to protect the town. A delightful mix of history and modern life, with fine sandy beaches, fabulous traditional and modern restaurants and a great main shopping street, Marques de Campo, Denia is a lively town. Travel is easy to and from Denia; it has a main train station and a port that passenger ferries sail from to the Balearic islands www.balearia.com and other Mediterranean ports. So if you fancy a weekend in Ibiza, Mallorca or Menorca it’s easy to take the car and hop across to one of the islands for a change of scenery. The port is also a working fishing port. The daily catches of fish can be seen being unloaded by the fisherman that still work the boats as their trade, supplying local restaurants and supermarkets. Denia has many hidden gems of places to eat out. From sea view ultra modern and trendy restaurants, to traditional cuisine in one of the many small streets or trendy bars in the main Marques de Campo shopping area. There are plenty of beaches to choose from, most with beach bars and plenty of parking. You can walk for miles along the beaches of Denia, enjoying the views of the inland scenery and the other coastal towns of the region. One event not to be missed for residents and tourists of Denia alike, is the Las Fallas fiestas www.fallesdenia.com, held in March every year. Huge figurines are built during fiesta week, in almost every street. At the finale of the fiestas, after much celebrating, fireworks and parades in fabulous costumes the figurines are set light to and burnt. 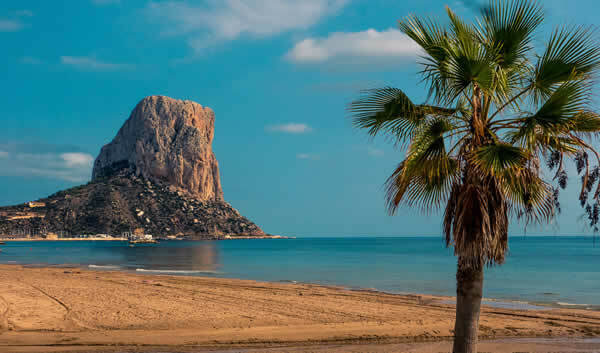 The Peñon d’Ifach, the unmistakeable rock of Calpe, stands tall and proud a kilometre out to sea. 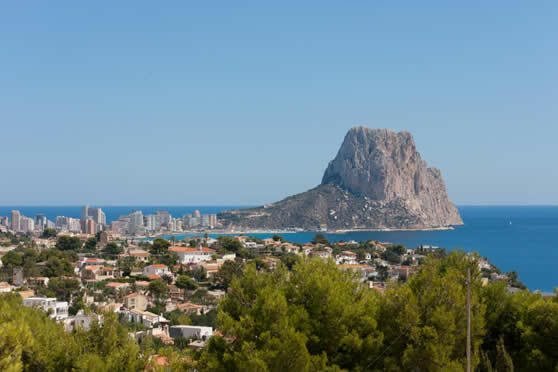 The rock can be seen for miles around and is the landmark of the coastal town of Calpe. 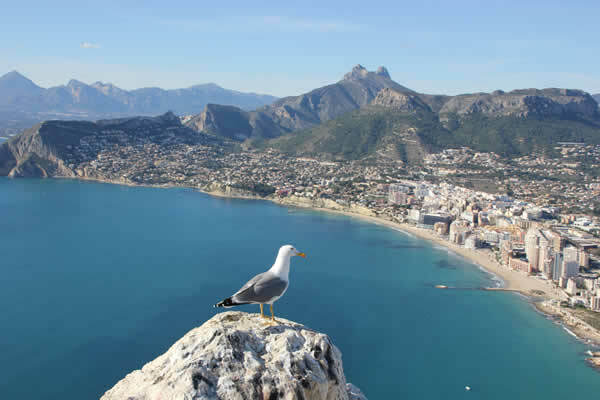 A natural park, you can climb the rock along the man-made footpaths, where at the summit you’ll experience the most fantastic views of the Costa Blanca coastline. On a clear day you can see as far as the island of Ibiza. 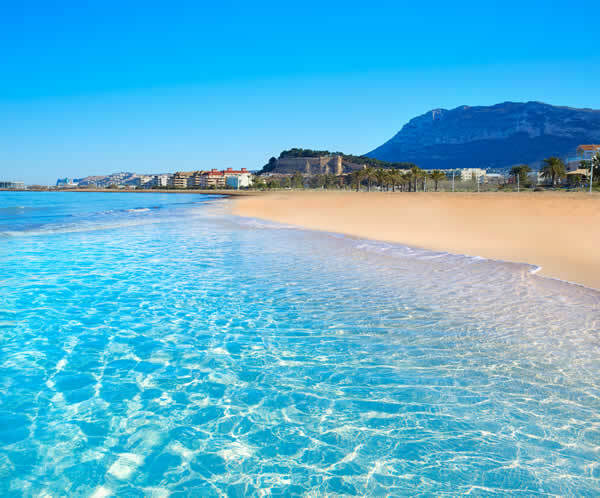 Calpe has miles of long sandy beaches and is suitable for children as the sands slope gently into the sea. As with all beaches in this area, watch out for the red flags, when swimming is dangerous. The main beach the Playa Arenal Bol is backed by many bars and restaurants offering a delicious variety of international cuisine. On the north side of the rock you’ll find another sandy beach, Playa la Fossa. Playa Cantal Roig, just past the port is a small pebbly beach which is ideal for snorkelling. The port has a fantastic selection of sea food restaurants, all offering free sangria to entice you to dine with them. Explore the streets of the town and you’ll find department stores, small shops and traditional Spanish restaurants tucked away and just waiting for you to sample their menu del día (menu of the day, including wine) for a bargain price. Calpe is a fairly large town, with several large supermarkets, and its properties stretch from the town to the hillsides around it. It mixes traditional Spanish life, in the older part, with a modern tourist and expatriate industry nearer the coast. 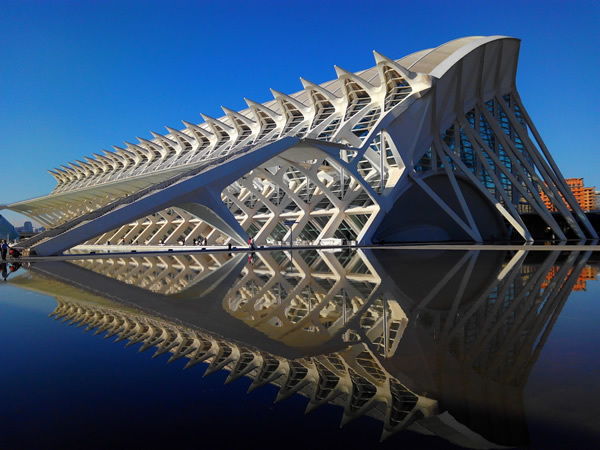 If you’re looking to live near a vibrant and modern city Valencia, the third largest city in Spain and the capital of the Valencia region, is the place to be. 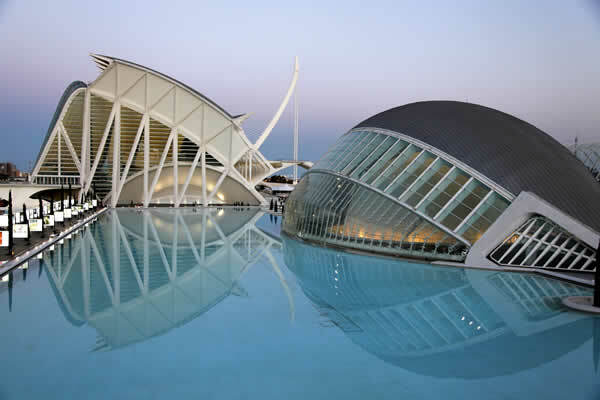 The City of Arts and Sciences (CAC), www.cac.es a cultural entertainment centre. There’s also over 2.8km of beautiful beaches to enjoy, plus parks, gardens and of course, general outdoor Spanish living. 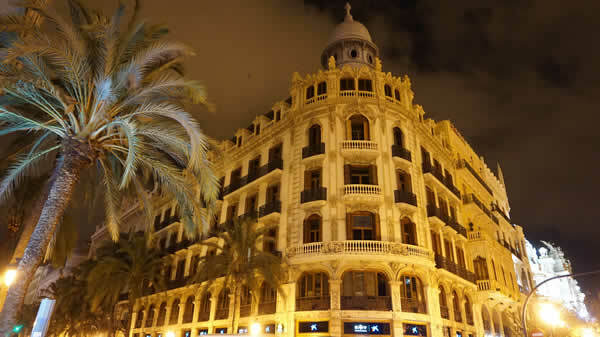 If you enjoy nightlife Valencia is the place for you. In true Spanish style things don’t get going until 11.00pm, when you can visit a tapas bar, have a few glasses of wine then move on to a nightclub or just sit outside in a cafe and enjoy the real Spain. Valencia is famous for paella. The rice is grown in the region and a true Valencian paella is a gastronomic delight. You can choose from either just meat (including the famous Spanish chorizo), or be a bit more daring and have a mixed paella, which will include a variety of seafood, including squid ink, which is what makes the rice in a proper paella black. Valencia is also well known for Valencian oranges, which are in abundance from November until February, and are sold on the side of the road at a few euros for an enormous bag full. Ideal for freshly squeezed orange juice. Horchata is also a famous drink of this region and there are several Horchata bars in Valencia. This is a sweet milky drink made with tiger nuts. 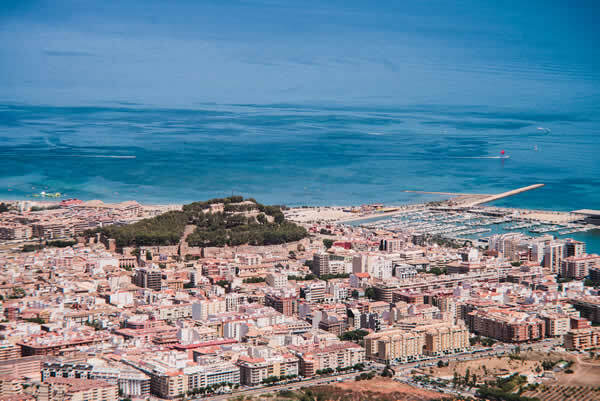 Lively and vibrant, Valencia is an excellent choice for a holiday home or permanent residence. In the city there are some beautiful apartments, and on the outskirts houses and villas are available to suit most budgets. 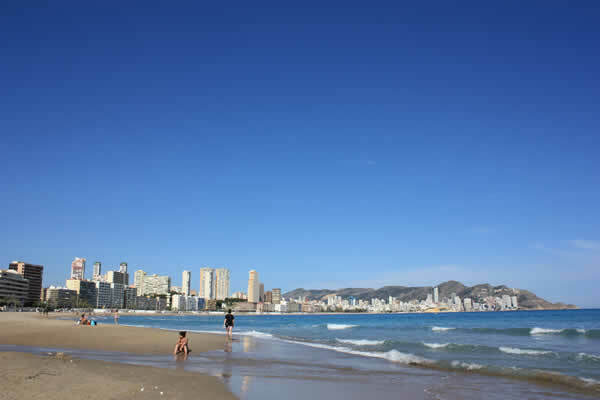 Lively, fun-filled, with a perfect climate (year round sunshine), Benidorm has an excellent mix of sun, sea and sand. 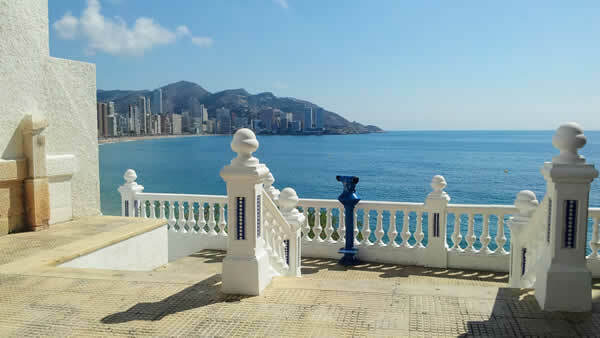 Over 40% of Benidorm’s residents are foreigners, either living in the area or visiting their holiday homes. Its popularity has grown over the years and it’s a many people return to Benidorm year after year. 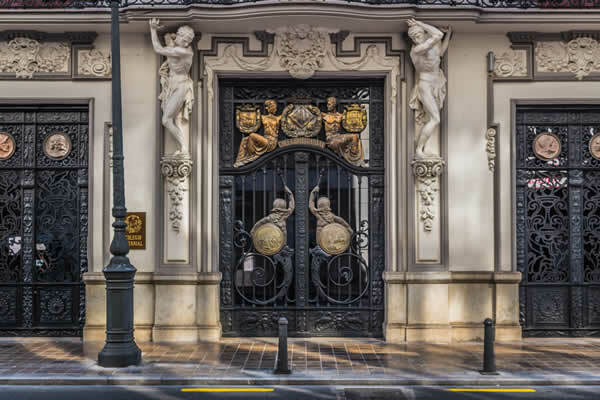 The coastal region of Benidorm is very developed, with high rise hotels and apartments offering sea views and easy access to the main 3km sandy beach (one of the cleanest in Europe) and many places to eat, drink, dance the night away and shop. Only a few kilometres inland are spectacular mountains, where many authentic Spanish towns nestle in the sunshine. Benidorm also offers a taste of true Spanish culture in the old town, behind the castle, where you can explore the tiny streets and pass time doing nothing but watching the world go by in one of the many bars and restaurants. There is plenty to do for all the family in Benidorm: a night out at the famous Benidorm Palace, where you can dine and watch a spectacular live show, the water park of Aqualandia www.aqualandia.net, the adventure park Terramitica www.terramiticapark.com, the nature park Terranatura www.terranatura.com , Mundomar www.mundomar.es, which houses sealife, the Valor chocolate factory www.valor.es, bars and discos that stay open all night and for something a little less exhausting a stroll along the Levante beach promenade, where Spanish families take their paseo (walk) every Sunday afternoon. 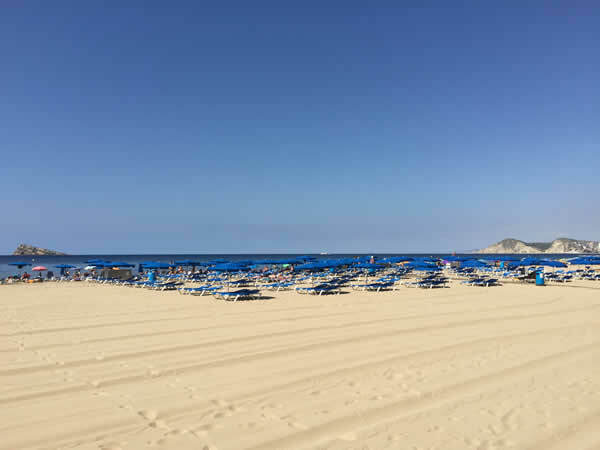 There are three main beaches: Poniente, which is quieter than Levante, and Malpas, which is small but extremely pretty with its palm trees and crystal clear waters. Benidorm is the place to shop. From traditional Spanish crafts, to bags, shoes and leather goods (at excellent prices) and beach wear. 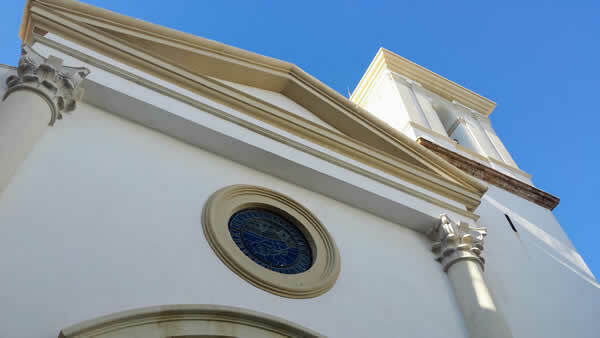 All can be found in the main town or in the La Marina Commercial Centre www.cclamarina.com, which houses over 90 shops. There are plenty of restaurants to choose from in Benidorm, and you should be able to find food from almost every nationality, including traditional Spanish, English, Chinese, Indian, German and Thai. The international school, Elian’s www.elians.com is on the outskirts of Benidorm, in La Nucia, and offers a traditional British education.